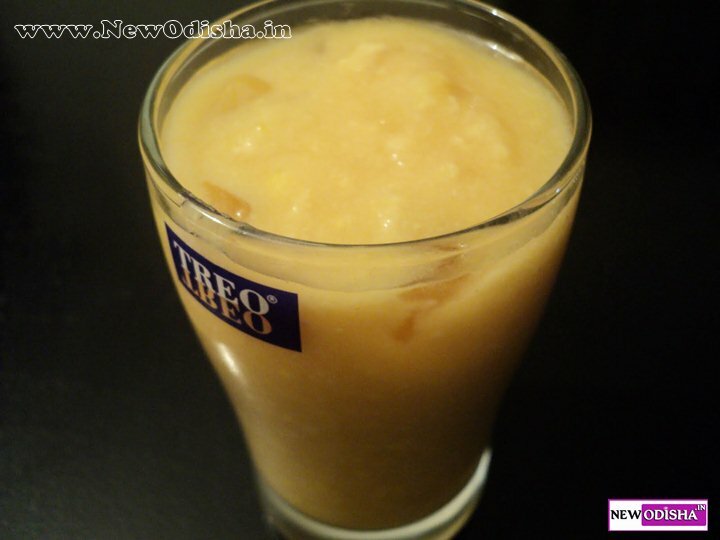 Bela Pana is one of the drink mainly prepared in Odia Pana Sankranti or Maha Bishuba Sankranti. This day also known as the Odia New Year. Here we are discussing about the preparation of Bela Pana or How to make Bela Pana at home. Just follow this article. A handful of cashews ground separately fistful of fresh grated coconut. Put grated bel, peeled banana, yogurt, paneer, cardamom and sugar in a grinder and grind well. Add about a cup of water to it and mix well. Serve fresh with ground cashew and fresh grated coconut sprinkled on top. Garnish with grated cherries and raisins (କିସ୍‌ମିସ୍). Give Responses for "How to Make Bela Pana"